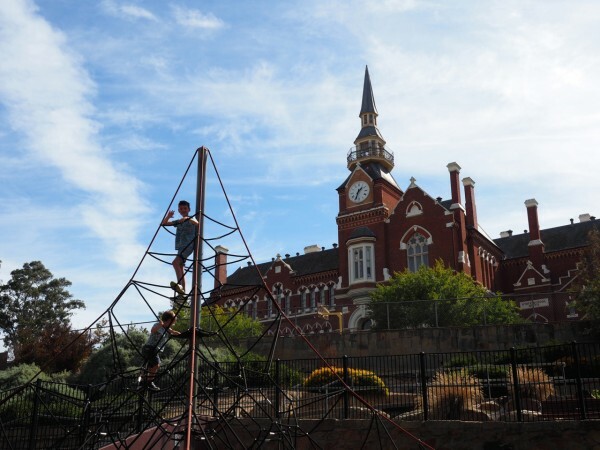 In the school holidays just gone, Mr SnS and I packed the kids (and half the house) and hit the Calder for a few nights in Bendigo, in the Victorian Goldfields, a 2 hour drive north west of Melbourne. Hitting up Bendigo hadn’t really been on my radar, well, at all. In fact, I had been to Bendigo once in the last three decades and that was a one night layover on a work trip before kids back in the early noughties. But two things changed that. The first was the excellent intel of one of my besties who worked in Bendigo for 6 months recently and then took her three kids up there on hols. She is now a raving Bendigo fan and her intel for what to do with kids in Bendigo well and truly planted the seed. Thanks GF! Secondly, the Bendigo Art Gallery has a habit of attracting world class exhibitions. I missed Grace Kelly two years ago but there was no way I was missing Maz in 2016. So I booked us a three night stay at a house I found on Stayz and off we went in the April school holidays. 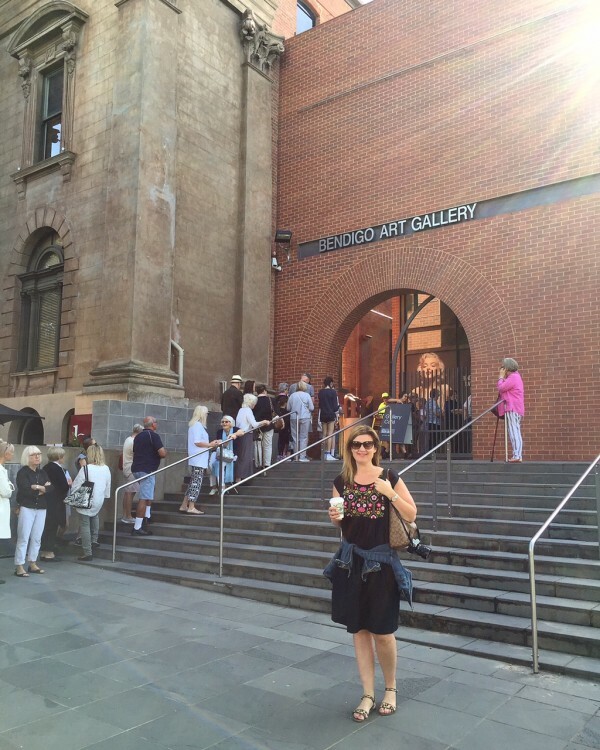 And wow, did Bendigo impress with it’s world class exhibition; great food; beautiful historic buildings; great play spaces and activities for kids; interesting cultural and local history; fab shopping; relaxed and friendly service and hospitality everywhere we went. I could go on and on but instead, I’ve tried to condense all my intel in to this here one post. 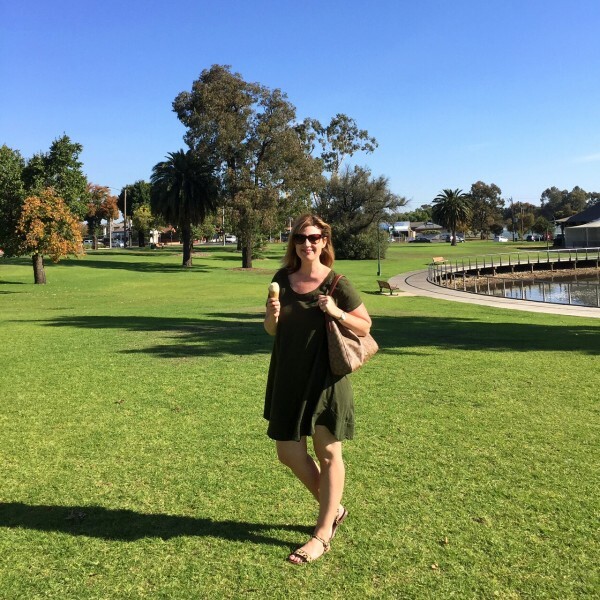 So what follows are my suggestions for what to do in Bendigo with or without kids – there’s loads to do either way – if you’re lucky enough to find yourself there anytime. I’d love to return with just Mr SnS or a weekend with the girls. There’s loads to do and see irrespective of the company or length of your stay. It’s a great destination even for a day trip. 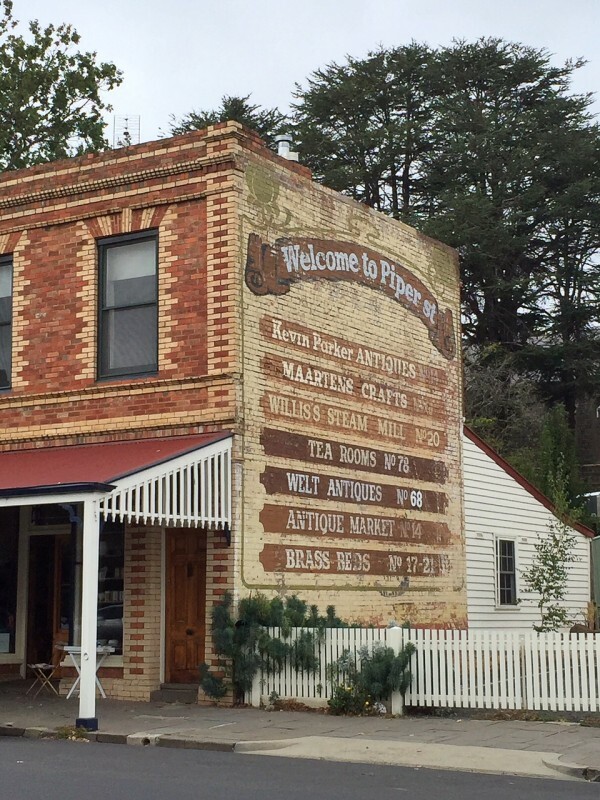 There are some great towns along or just off the Calder: Woodend, Kyneton, Castlemaine to name a few. 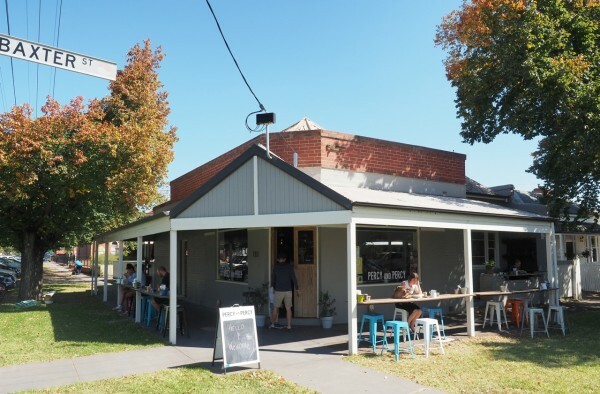 This time around, we stopped for lunch and a wander at Kyneton to break up the journey and because Piper St is one of my favourite spots in regional Victoria. 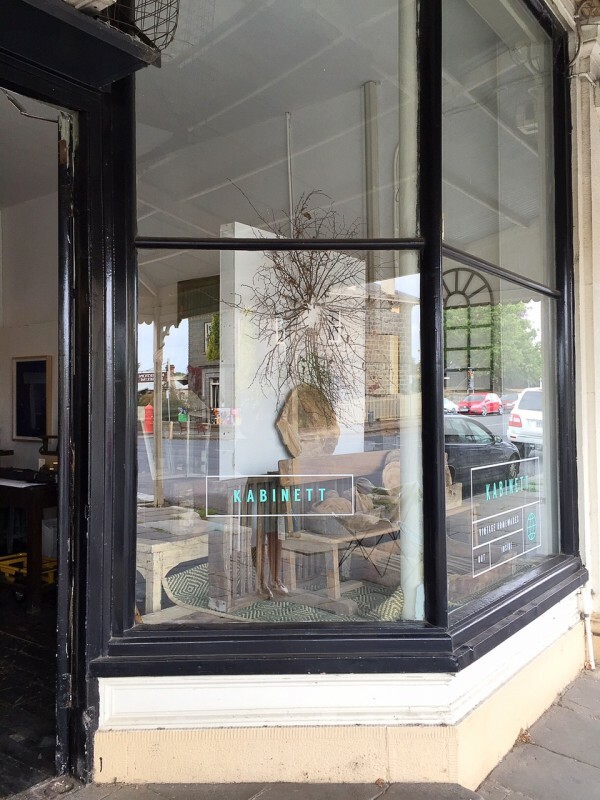 It’s been nearly five years since I’ve been to Kyneton and it was good to see most of my fave places still in business and some excellent newer establishments. While Mr SnS took the boys to the local museum on the main drag, I wandered up and down browsing in the lovely boutiques. 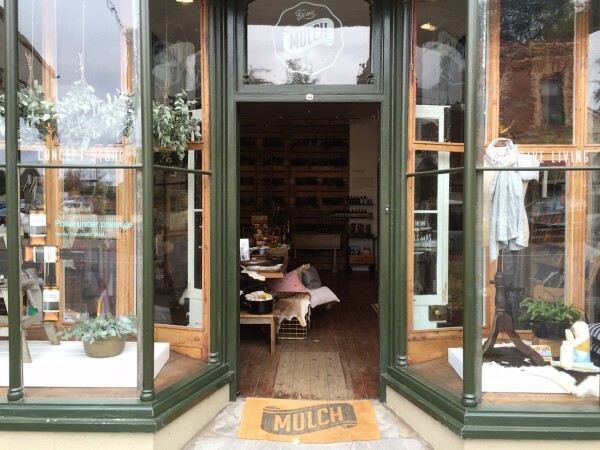 My favourites are Kabinett (industrial furniture and home wares), above; Duck Duck Goose & Larder, (a cafe, awesome home wares emporium and grocer); and Mulch Living (designer and eco friendly home wares, gifts and accessories), pictured below. 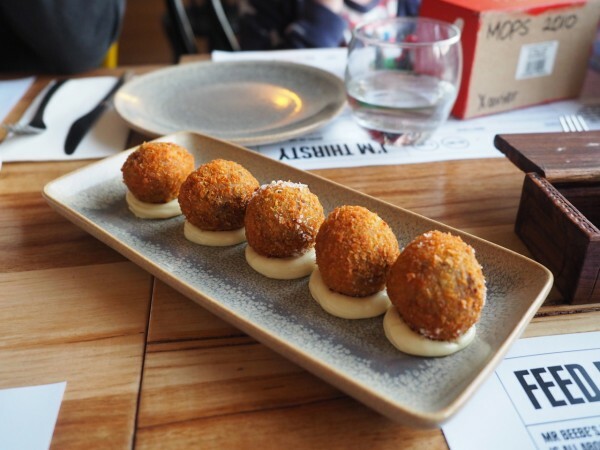 We followed that up with an absolutely sublime lunch at Mr Carsisi, below, a Middle Eastern influenced bistro in a vintage ice house smack bang in the middle of Piper St. 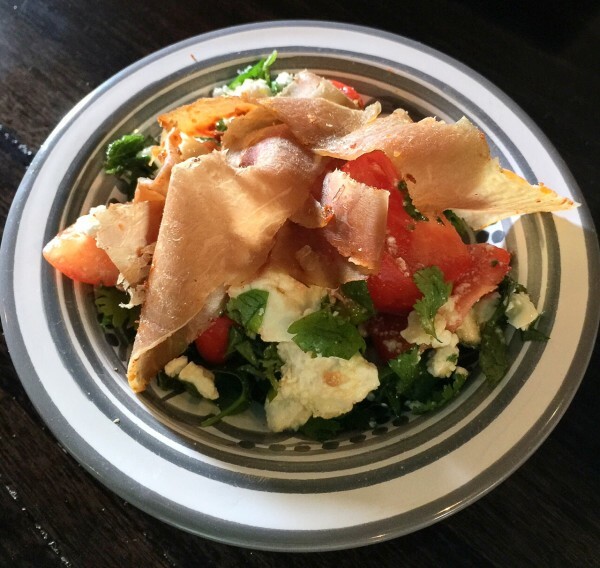 This dish above – heirloom tomato salad, goats feta, banana chilli and Turkish air dried beef – a special, was the bomb dot com. 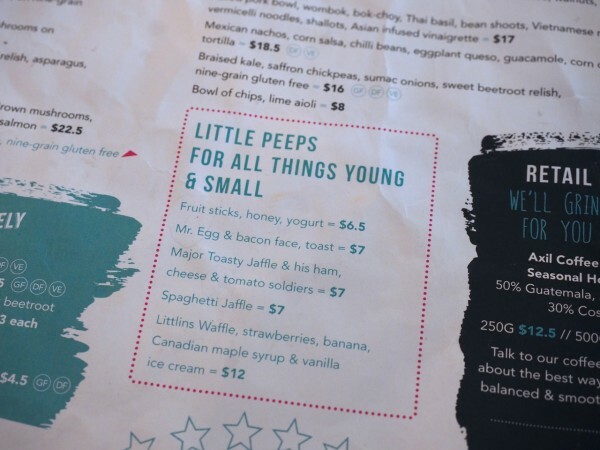 It was refreshing to see an interesting kids’ menu (our kids chose the lamb nachos; lamb kofta, salad and chips; and fish, salad and chips) and Mr SnS and I loved everything we ordered. Check out the full menu here. On the way home from Bendigo later in the week, we made the diversion to Castlemaine, had a wander in town (again, some lovely boutiques and amazing florists) and picked up some great produce for an easy dinner when we got home. Bendigo has a wealth of beautiful buildings and monuments from the imposing Sacred Heart Cathedral (which would not be out of place in Europe) through to the historic buildings lining Pall Mall, one of which houses the Information Centre. 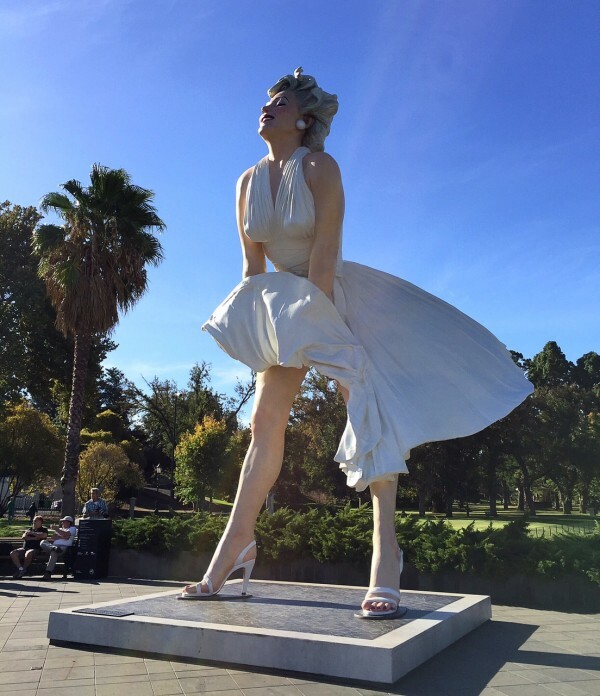 Of course there’s the enormous statue of Marilyn Monroe to see from all angles too. Wander through and take it all in – the scale, the history and the gold rush that funded much of it. There are suggested walking tours too including this Beautiful Historic Buildings Walk here. 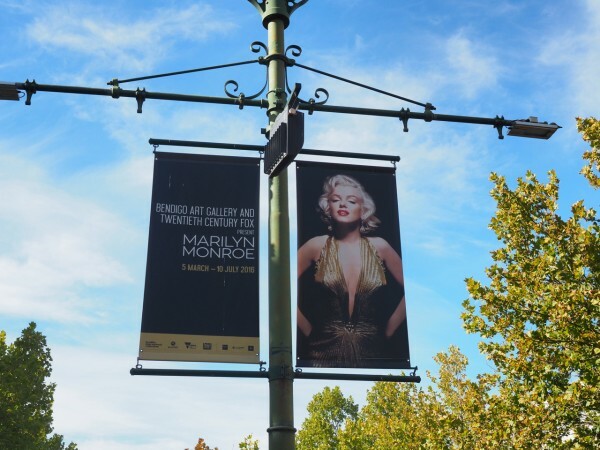 The Marilyn Monroe exhibition was just fab. With over twenty of her film and performance costumes, her personal effects (make up, books, stationary and magazines), outfits from her personal, off duty wardrobe, plus screen footage and photographs, it really was a comprehensive and fascinating exhibition. I took my time and it took me about an hour to watch and read everything. In terms of the logistics, I booked tickets the week before for a 10am Tuesday morning entry. I went on my own while Mr SnS took the kids to the park as I wasn’t sure they’d make it past her teenage centrefold! I think I made the right call and it was great to have an hour to myself. There’s a permanent collection to check out and the beautiful Rosalind park nearby for the kids too. This was so fascinating and was a great way to begin our stay in Bendigo. There are several tours which go for varying lengths of time, for varying costs. 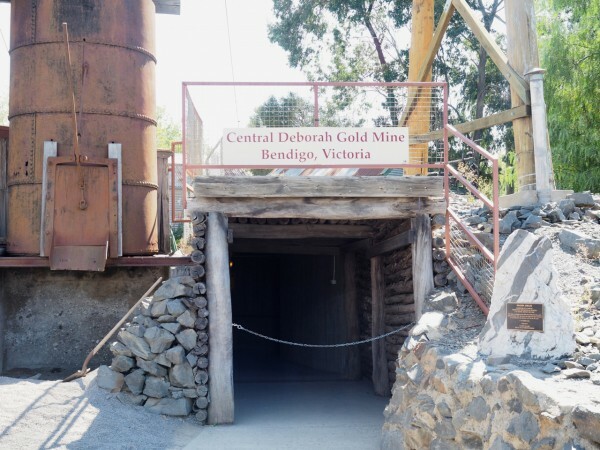 We opted for the Mine Experience Tour which went for 75 minutes and costs $83 for a family (we had a Bendigo Experience package, which included our entry here – more on that below). 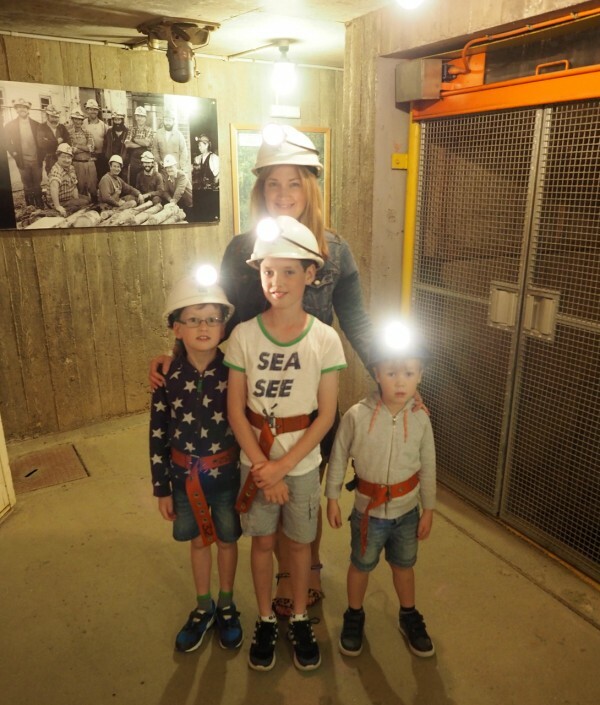 We all put on hard hats with our miner’s lamps and took the lift to level 2, 61 metres below and heard all about harsh conditions miners faced and the history of this mine, which operated between 1939 and 1954. We all found this really interesting and I was surprised by how engaged even Mr 4 was. I was a bit freaked out being so far underground and by the damp, dark tunnels but I really enjoyed it too. This is well worth doing but here’s a hot tip – don’t wear your best shoes as there are puddles galore. 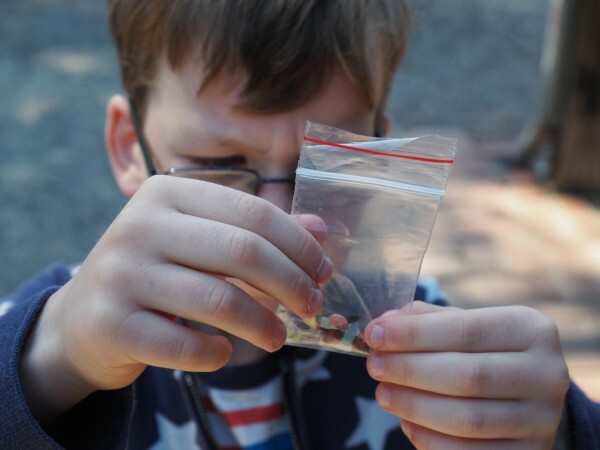 The tour finishes with panning for gold and we managed to find a couple of tiny pieces much to Mr 7’s delight. 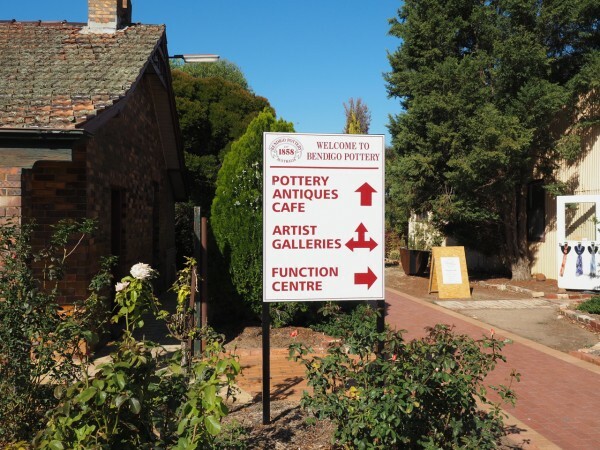 You’ll find Bendigo Pottery, Australia’s oldest working pottery, a short drive out of Bendigo. On site there’s a cafe, museum, shop and studio. 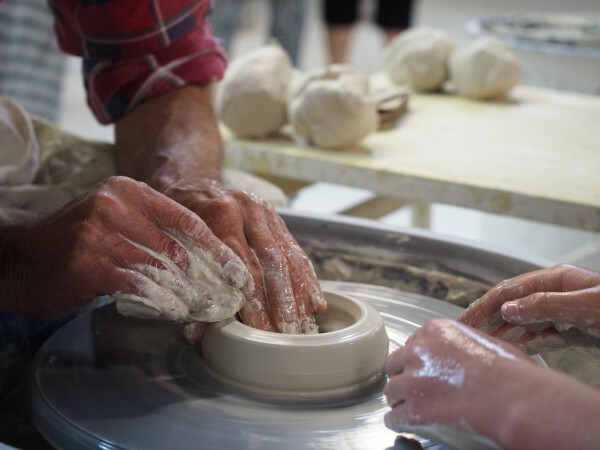 We booked our older two boys (aged 7 and 9) in for a 30 minute class – make a pot on the wheel – ($15 each) which they absolutely loved. 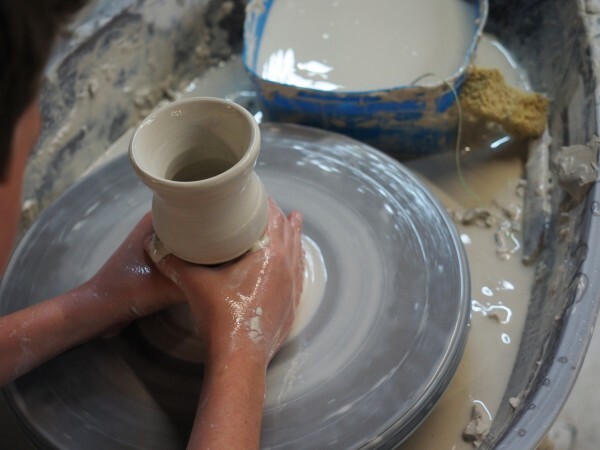 For an additional fee, the boys chose a piece of work to have fired and glazed and then sent home. 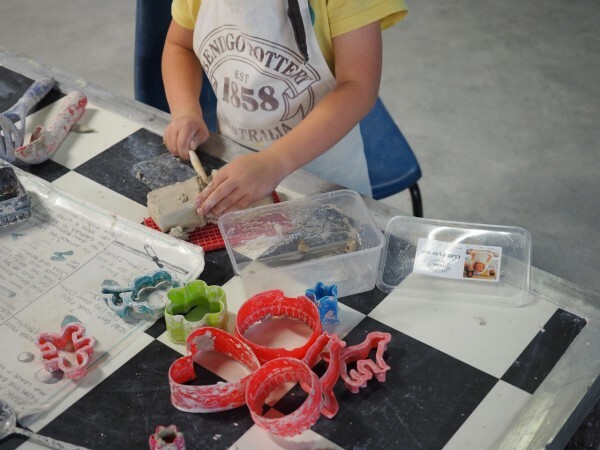 At the time we visited, these classes were advertised as being held on every day of the year at 10am, 11am, midday, 1.30pm, 2.30pm and 3.30pm but bookings are essential so ring ahead (and double check the times) on 5448 4404. Mr 4 was too young (classes are for children 6 and over) but he was happy with a Clay Play kit ($4) which he used on a table nearby. These kits are available for purchase anytime. This is a really fun and unique experience and I’d highly recommend it if you have crafty kids. I browsed in the shop while we waited for our class too and picked up a beautiful vase. Our Bendigo Experience pass gave us access to their museum too which we enjoyed looking through after the class. All up we spent nearly two hours here by the time we did and saw everything, perhaps because our class went for longer than 30 minutes. 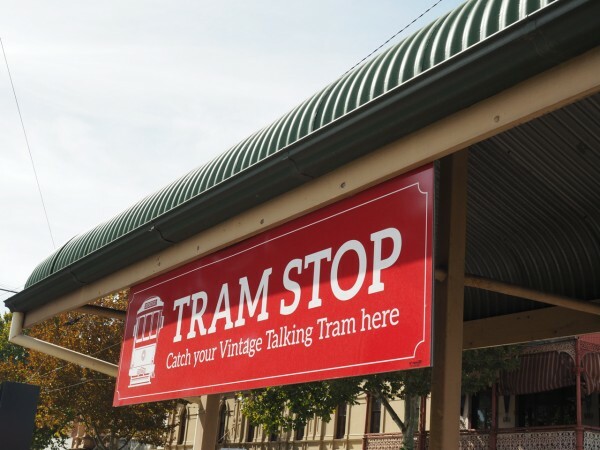 Trams were first introduced in Bendigo for public transport in 1890 but they now operate as tourist guides, giving visitors a historical and entertaining stories of the city. You can hop on and off at various tourist destinations on the way. It’s a great way to get your bearings too. 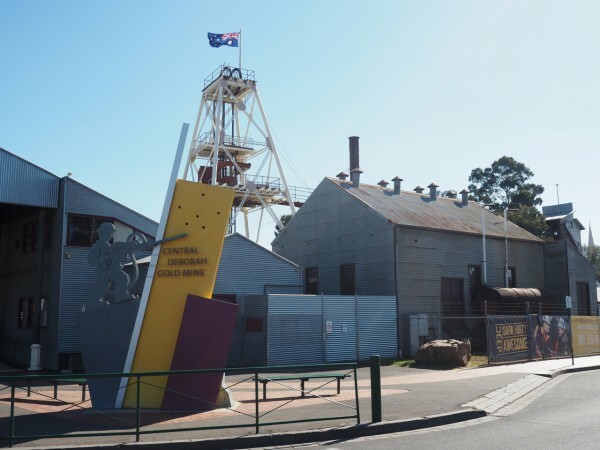 The Chinese community in Bendigo has long contributed to the proud history of Bendigo and the Golden Dragon Museum is a living history of this community from the gold rush to today. Our kids loved the unbelievably long dragon – in fact the world’s longest Imperial Dragon – and the traditional arts and crafts on display. We visited in the afternoon and only spent 30 minutes as the kids were getting tired but it was still worth doing. The Vintage Talking Tram provides some stories and history of the Chinese community in Bendigo too. The Bendigo Joss House Temple is nearby too. 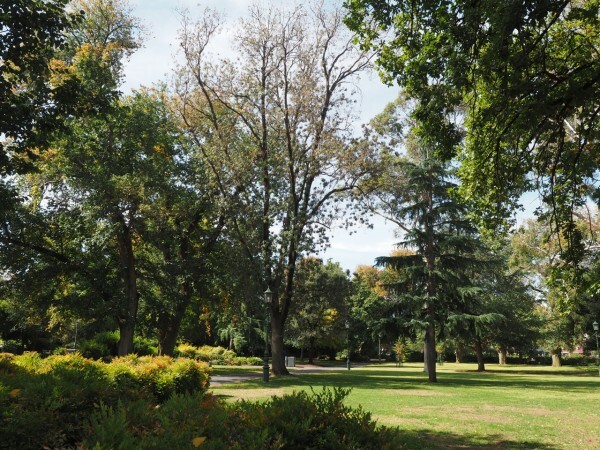 Bendigo has some beautiful parks and lots of open, public space. We liked Lake Weeroona, above and below, where we found a large playground, plenty of swings, public toilets and plenty of grassed areas. 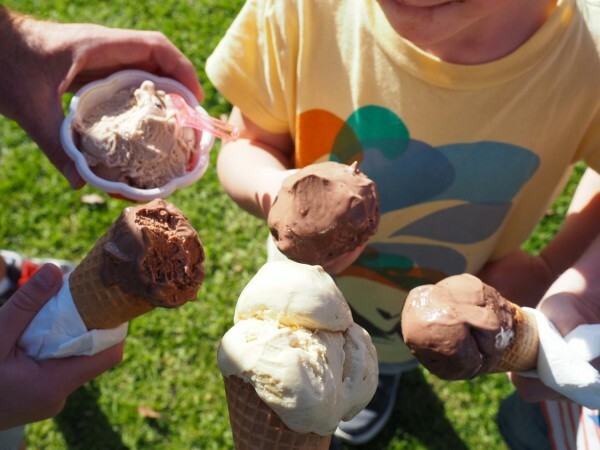 Ice cream and food vans, a coffee truck and shaded picnic tables are on site too. There’s the Boardwalk Cafe on the lake too. 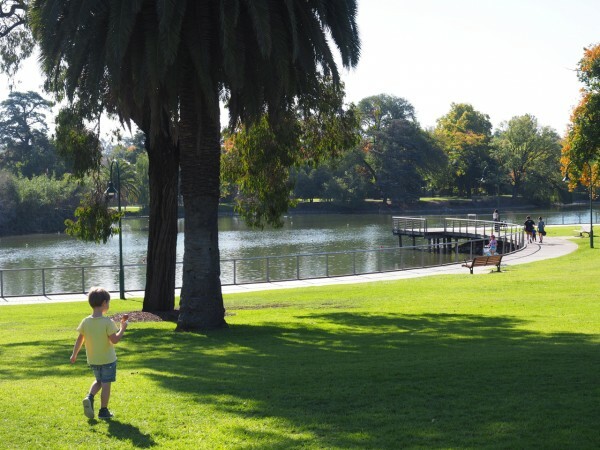 Rosalind Park, pictured below, just behind the art gallery and Pall Mall is beautiful and has a great playground shared with a local primary school, beautiful established trees, and plenty of shade and space and paths for picnics, scooting and playing. 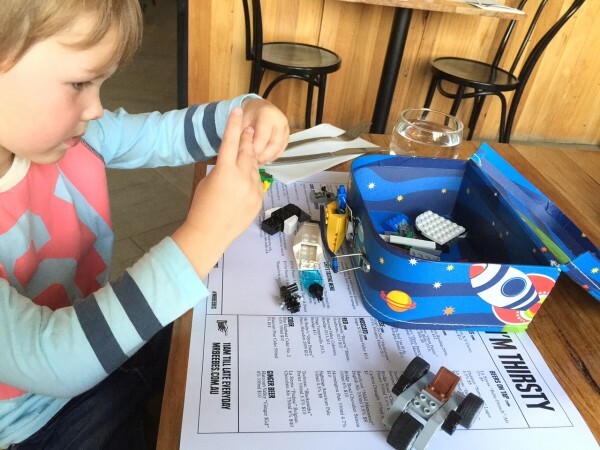 This mini Scienceworks is a great way to spend a morning or afternoon. You’ll need longer if you book tickets for a show at the Planetarium. 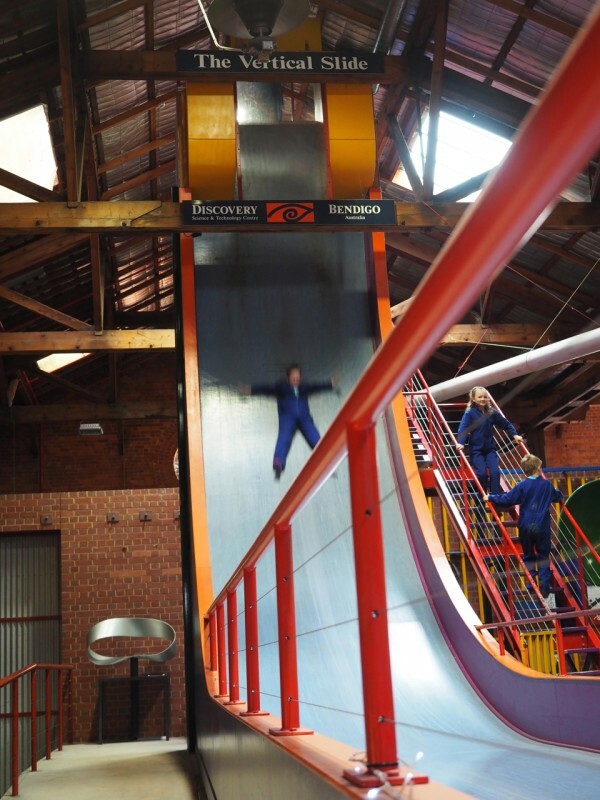 Our boys loved the Vertical Drop slide and the many interactive displays here and we easily filled in an hour and half and could have stayed much longer. We arrived only half an hour after opening but all the tickets to all the day’s Planetarium shows were already booked out so if you’re keen, arrive early. It’ll set you back nearly $5 a cone or an eye watering $25 for a round for a family of five (there’s no kiddie cone option), but the ice cream at Favourite Flavours was delicious. 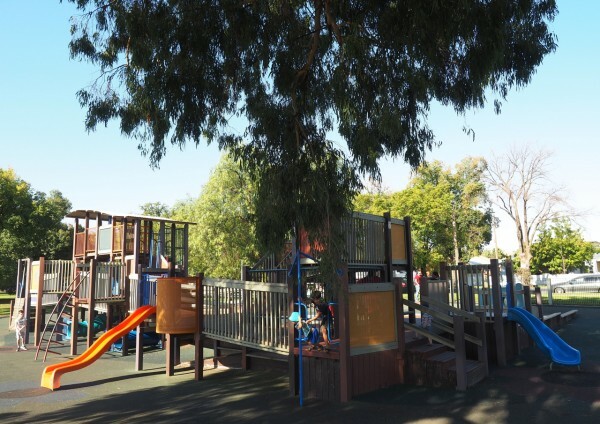 Located opposite Lake Weeroona, stop by after a play at the nearby park or a walk/ride around Lake Weeroona. We tried a few places but the best coffee we had was from Get Naked Expresso. 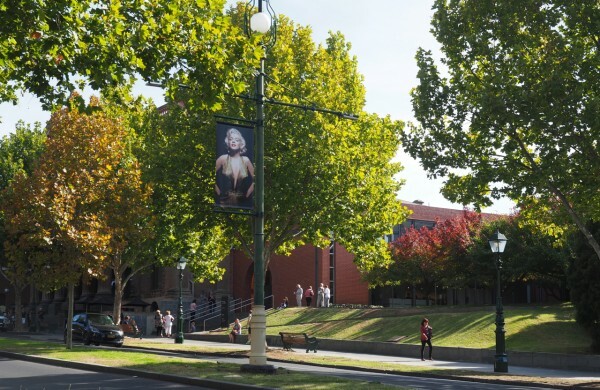 There are two Naked Expresso cafes in Bendigo, one of which is opposite the Bendigo Art Gallery. For lunch we had great meals at Cortille and Percy and Percy both of which had kids’ menus and were super cool spots. 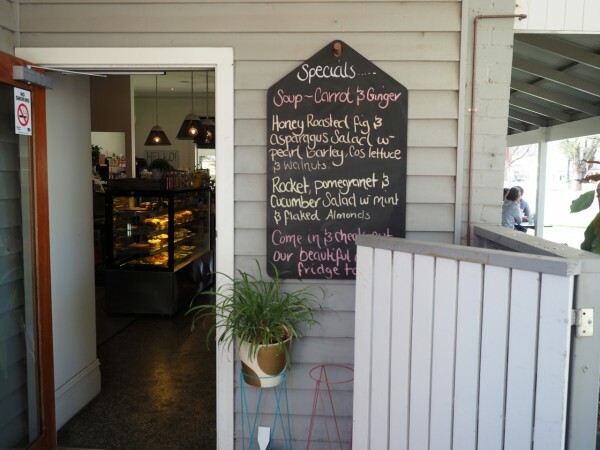 We loved the outside courtyard at Percy and Percy and were lucky to chance a table outside on a beautiful sunny day. 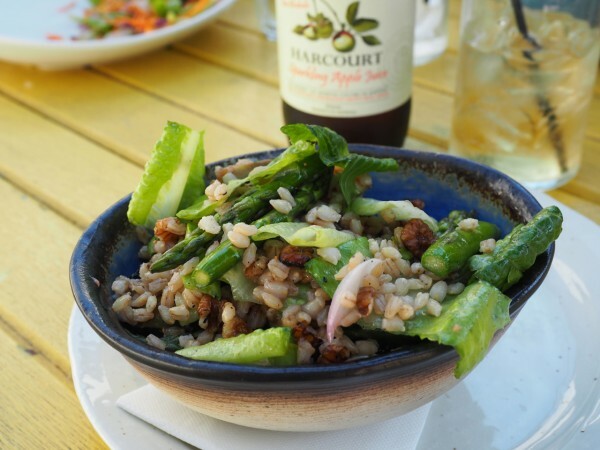 My salad of honey roasted figs, asparagus, pearl barley, cos lettuce and walnuts was The Business, especially washed down with a sparkling apple cider from nearby Harcourt. 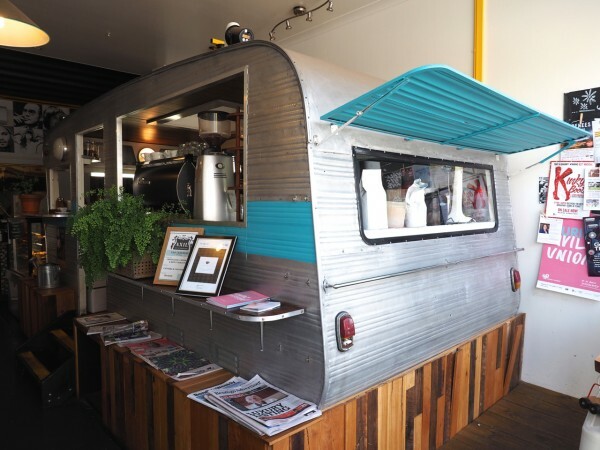 Over at Cortille, pictured below, I was loving the vintage caravan and cool interior design not to mention their delicious waffles. The staff were super friendly too. 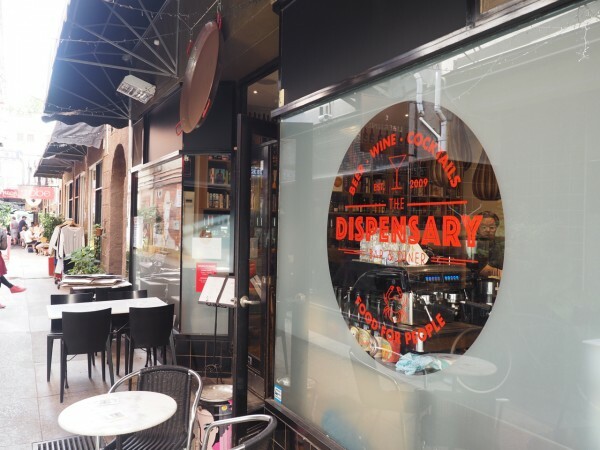 We tried to get a table at the highly recommended Wholefoods one day but it was packed and though the menu appealed to Mr SnS and I in a big way (it looked amazing), it wasn’t going to work for our kids. We had dinner out twice during our stay and both places were excellent. 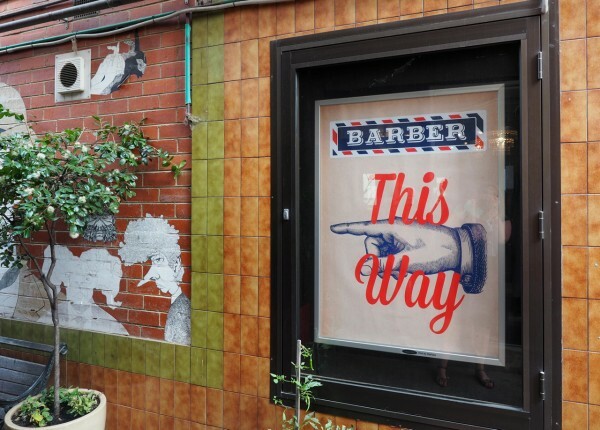 Our first visit was to Mr Beebe’s which is on View Street, just opposite giant Maz and Pall Mall. 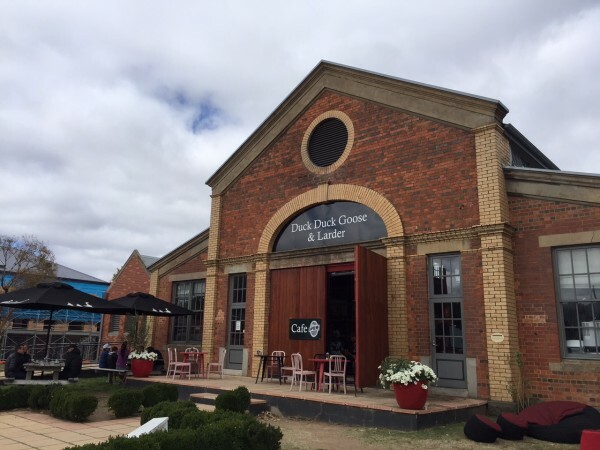 Despite it’s relatively formal and upmarket interior (high ceilings, glossy black chairs and designer lighting), the service here was great and our hosts were very accommodating and relaxed with our three kids. It may have helped it was a Monday night and not very busy. We shared some great tapas here and had a really nice night. 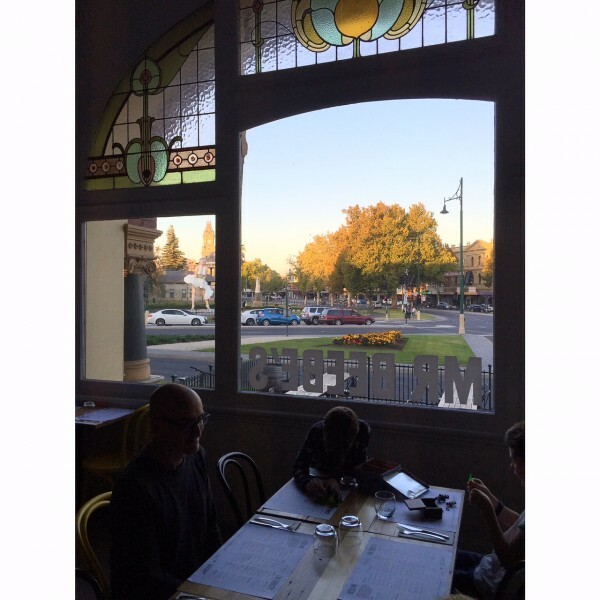 It’s the perfect spot for tapas with a view and a great way to start a stay in Bendigo. Above, lamb shank and nettle croquettes and below, hand cut russet chips with aioli. 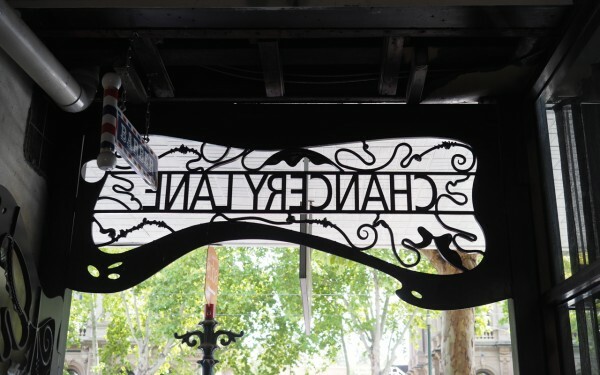 The following night we ate at the one hatted Masons of Bendigo which was definitely on the fine dining end of the spectrum. It was busy the Tuesday night we visited but again we had a charming waiter who made us feel relaxed and chatted to the kids. The food here was exceptional with even Mr 4 commenting on how good the miso flavoured butter was (served with house made bread to start). 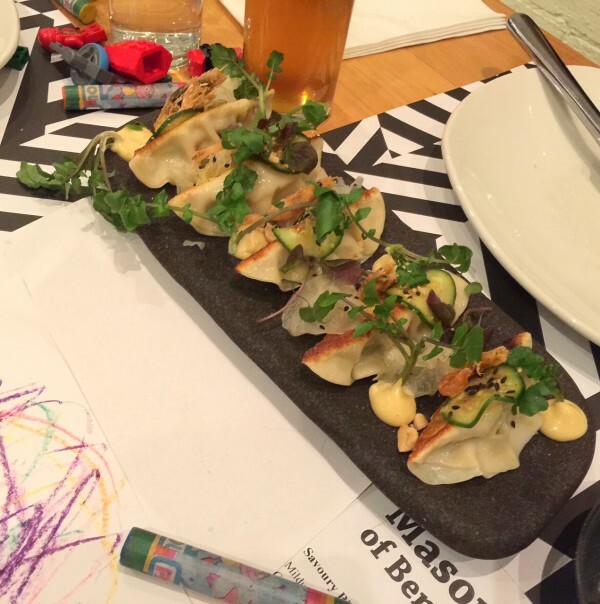 Mr 9 raved about the broccoli – it was unbelievable unbelievably – and we all went nuts over the satay chicken pot sticker dumplings with crispy school prawns, Jap mayo, peanuts, woodears and white soy picture below. 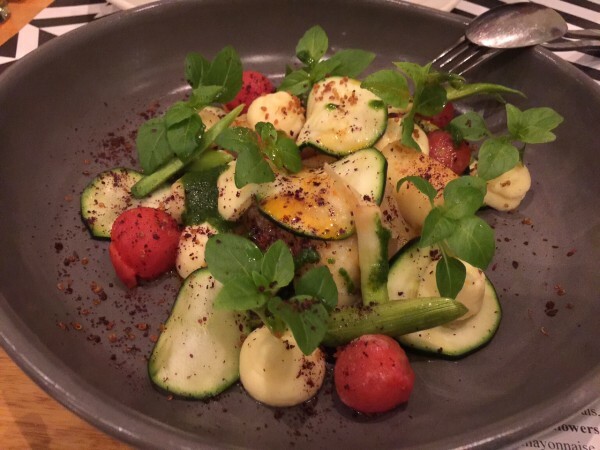 The fried ricotta gnocchi with whipped cheddar, salted zucchini, young leek, smoked tomato vinaigrette, pictured below, was amazing too. Mr 4 began to lose it towards the end though (understandable sight seeing fatigue) so we missed out on dessert. 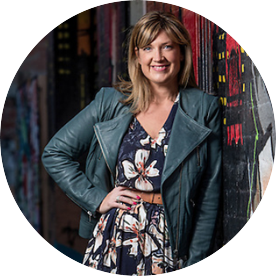 If you’re in Bendigo with or without the kids, put it on your itinerary stat but make sure book ahead. 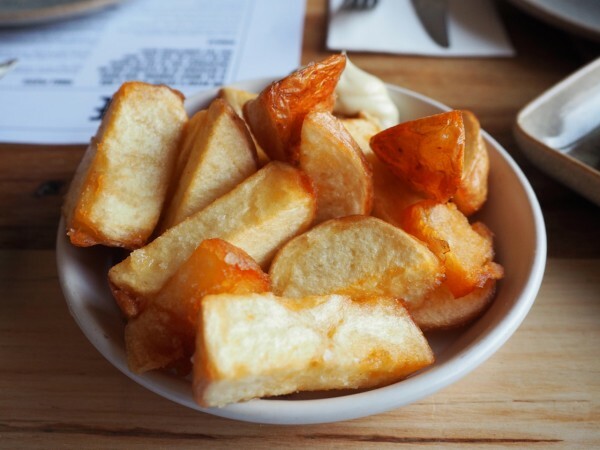 For more casual dining and take away options, check out local blog I Heart Bendigo for up to date local intel. If we were sans children, we would have made a cocktail at The Dispensary in Chancery Lane, below, a high priority. This is a very cool spot. If you haven’t given up bread, make sure you hit up The Good Loaf. We bought an excellent sourdough here and I wish I’d brought a couple back with us to stick in the freezer! 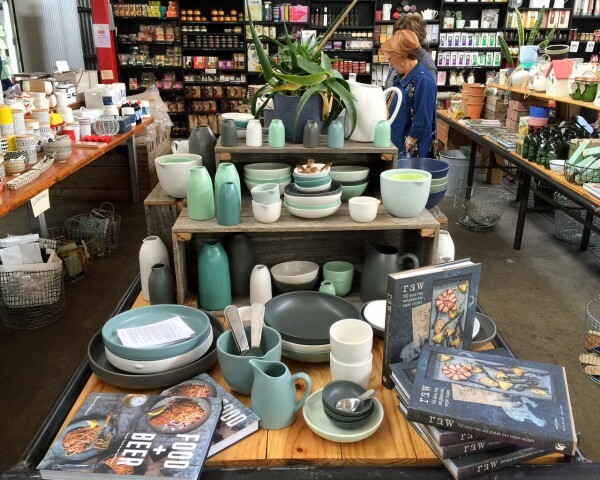 There’s a great little guide which we found everywhere called the Bendigo Dining and Shopping Guide 2016/2017 which has all you need to know. 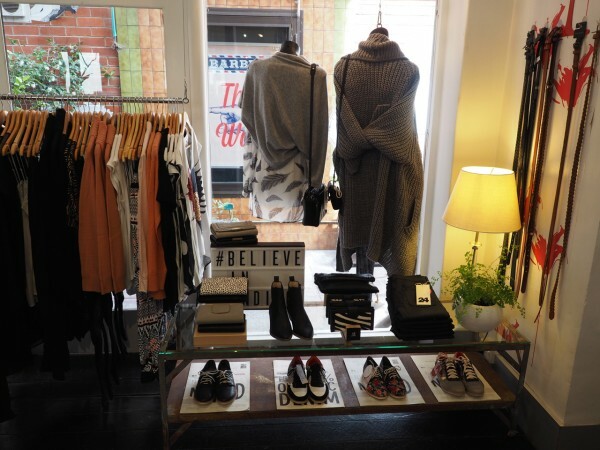 I liked Chancery Lane, pictured above, for Robe (designer clothes and shoes – think Sass & Bide, Rollie Nation, IvyLee Cophenhagan, Samantha Wills, Nudie Jeans); Libertine (flowers and gifts); and The Dispensary Bar and Diner (a much longed for cocktail). The Spanish influenced cafe El Gordo in Chancery Lance also looked promising and reputedly makes a great coffee. 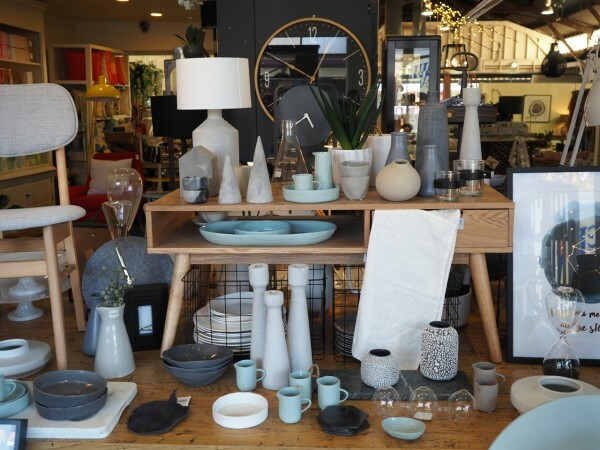 Not far from Chancery Lane is Bath Lane, where you’ll find several clothing boutiques, the fabulous home wares emporium Oliver Birch, stationary and gift shop Organise My … and a great toy shop, Mr Good Times. 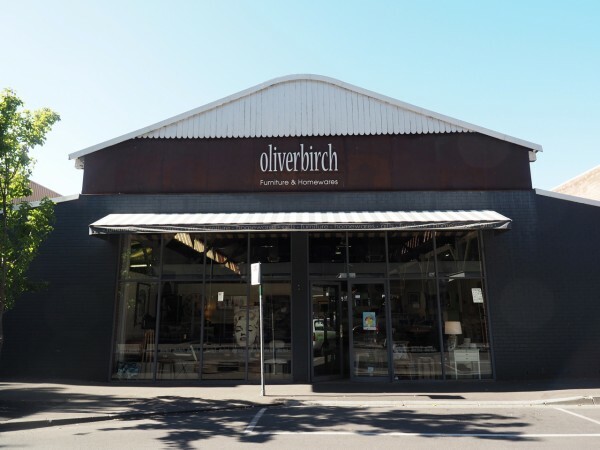 Above and below: some of the beautiful home wares, clothing, accessories at Oliver Birch. 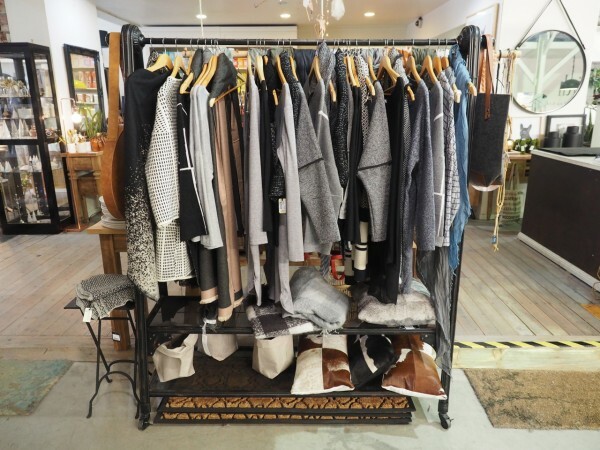 I was disappointed not to visit Mobo Concept & Design in Perrow Walk, just off Bath Lane too, as I spotted new season Elk Accessories and Nancy Bird in the window. Next time. There’s also a Myer in town and the usual high street suspects (Cotton On, Typo, Sportsgirl etc) in the Hargreaves St Mall. 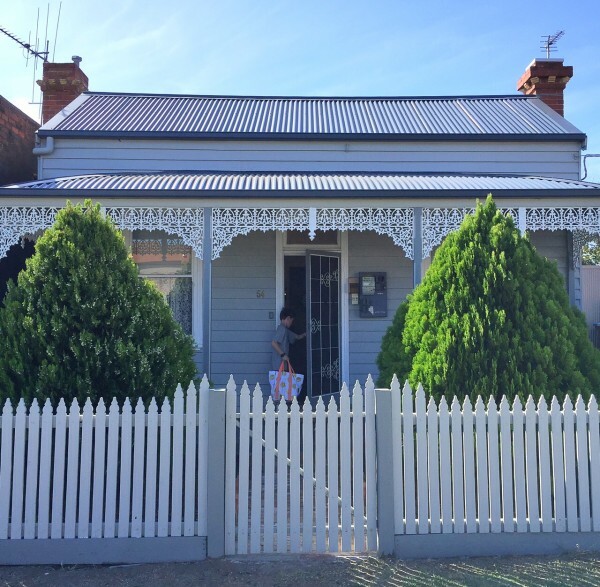 We stayed at a Stayz property – Lara House – a short 2 minute drive into the centre of town. It was a pretty and well appointed 3 bedroom house with two bathrooms (although the ensuite to the master bedroom was tiny) and a lovely landscaped back yard (no grass though – all deck and garden). A bottle of wine and some local information greeted us upon arrival which was a nice touch too. 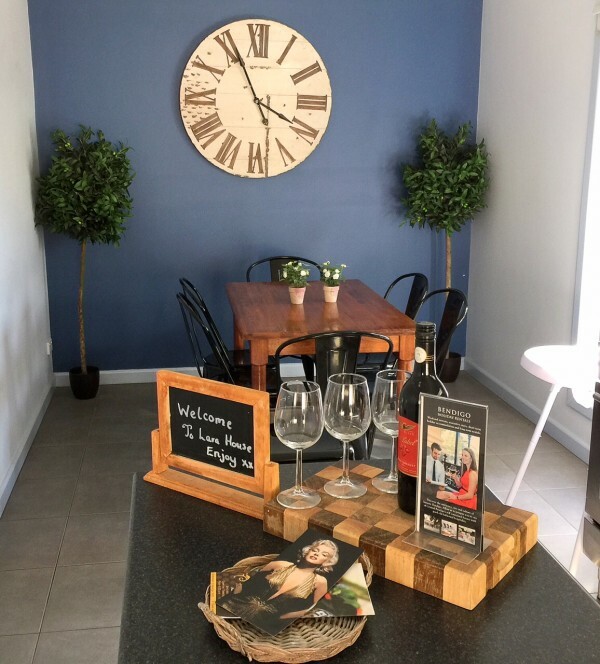 We had a couple of minor miscommunications with the manager (the number of the house and wifi code given to us were both incorrect and had typos – small but important details) but otherwise, I’d recommend this property. 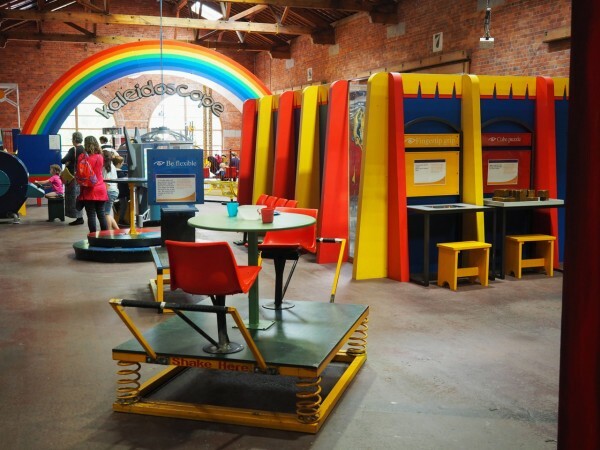 If we were sans children though, I’d love to stay at the Art Series property – The Schaller Studio. If we had have had more time, I’d have loved to stop by the Schaller Studio, just out of town. Friends also recommended Ironbark for horse riding. The lady at the Info Centre also told us of a nearby Buddhist site – The Great Stupa of Universal Compassion which is supposed to be impressive. It’s the largest Stupa outside of Asia and the same size and design as the Great Stupa of Gyantse in Tibet. When we arrived in Bendigo we went straight to the Info Centre too where we picked up a Bendigo Experience Family Pass ($155) which gave us entry into the Central Deborah Gold Mine, Golden Dragon Museum, Vintage Talking Tram Tour and the Bendigo Pottery Interpretative Museum and a 25% discount on the class. The pass is valid for 3 months from the date of purchase and offers some modest savings on entry if you’re planning to go to all the above attractions (and have enough time to do so). By way of comparison, a family pass for both the Mine Experience and Vintage Talking Tram is $120.50. Indeed, it’s worth starting with any visit to Bendigo at the Information Centre whether you’re travelling with or without kids. 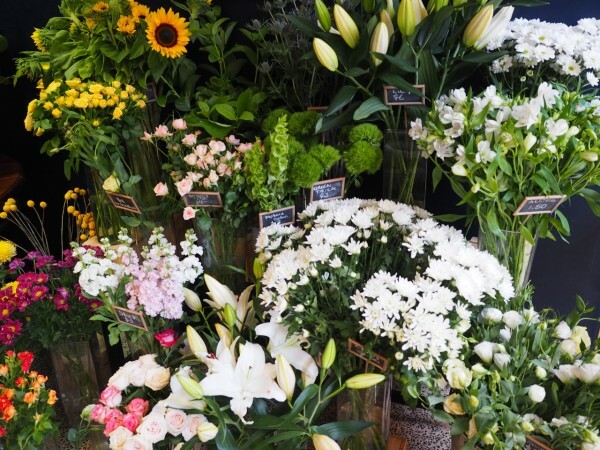 You’ll find out there if there are any markets on during your stay and other local events. There’s a Easter Festival every year too. This market guide is a worth a look too. Given it’s a reasonably sized regional centre, you’ll also find plenty of things to do if it’s raining, cold or very hot. There’s a cinema in town, as well as a bowling alley and a new library. 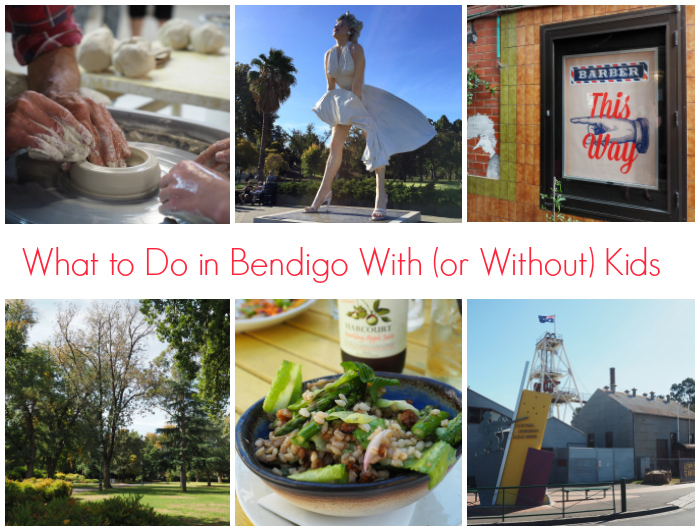 FYI – We loved our trip to Bendigo and paid for everything listed above – there were no freebies or gifts. 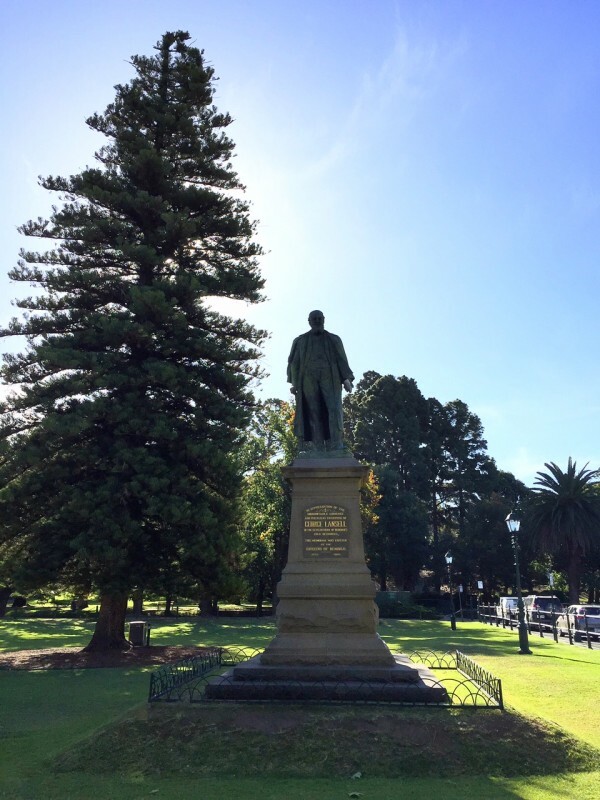 Also, a very big thank you to all my local Bendigo followers and readers on Instagram and Facebook – your intel was very much appreciated and helped us have a great trip. I’ve included your tips in this post too. 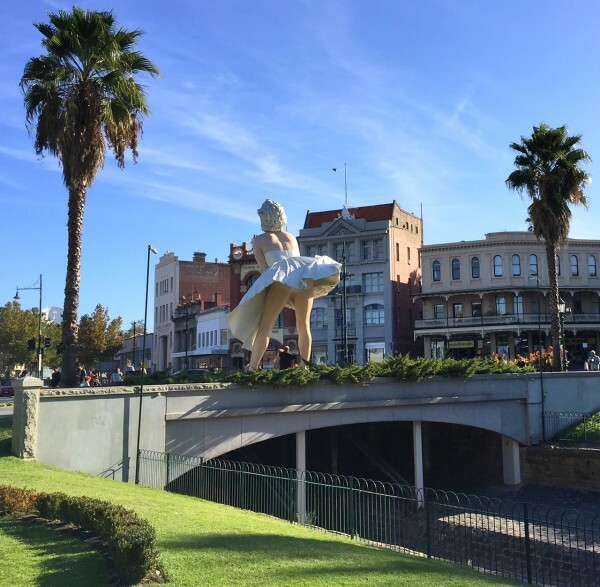 Have you been to Bendigo lately? Or are you a local? Tell us what you love and what we should add to our lists?